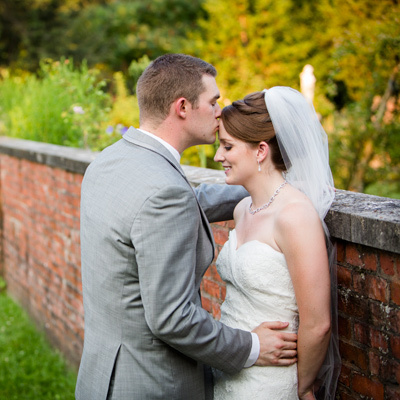 Kelly & Scott had a beautiful wedding at Glen Magna Farms in Danvers, MA this past summer. Kelly is my friend Melissa's sister. Melissa and I have been friends for about 10 years but I have really got to know the Robotti family more over the last few years and am honored to have photographed Kelly's wedding. I also photographed Melissa's New Hampshire wedding this past fall and I am looking forward to photographing Melissa's brother Mike's wedding this coming fall. Glen Magna Farms is a beautiful setting with gorgeous details and amazing grounds for ceremonies and formals. Kelly & Scott had a secret talk prior to the ceremony where they could speak around a door but not see each other. It was super sweet. Congratulations Kelly & Scott! Thank you to Nir for shooting with me!